I finished this Knot Dress a couple of days ago. It was a custom order for a close friend and her lovely daughter! Knot Dresses seem to be all the rage right now. 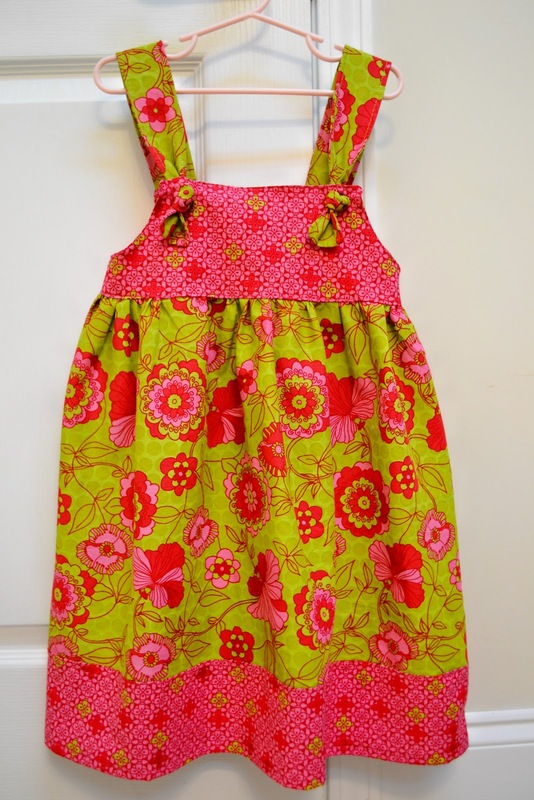 They really are great though because you can easily adjust the knots allowing the dress to grow with your child. I plan on making one for Lydia Grace now. Well, as soon as I get my sewing machine serviced. It messed up on me just as I was finishing this dress. Ugh! Might be time for a backup... Have you crafted or created anything lately? That dress is gorgeous! Such pretty colors and the style is so pretty. Beautifully done! I haven't tried one of these yet, but your pictures have got me motivated! I'm stopping by from the hop and happily following you. I love to sew and look forward to more of your posts. It's precious. Where can I puchase one? Do you sell these? It would look so cute on my 6 year old. Lemme know. Very cute. I am working on wooden bead necklaces and a baby blanket! very nice! I just seen the pattern lastnight in a pattern book... yours is great! This is the second one of these I've seen, and I LOVE them. I'm so glad you mentioned the adjust to grow. I hadn't thought of that yet. They are so cute! 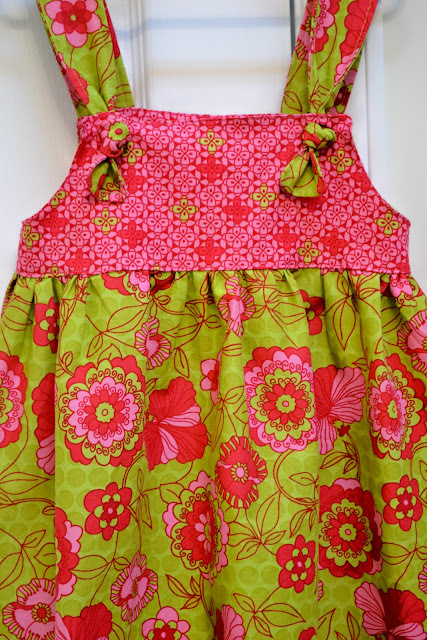 This is so cute, I'd love to make one for my daughter if I can find a spare minute! I'm following:) I'd love to have you stop by and share this at my link party going now through Saturday night! This is adorable. I love the colors!!! 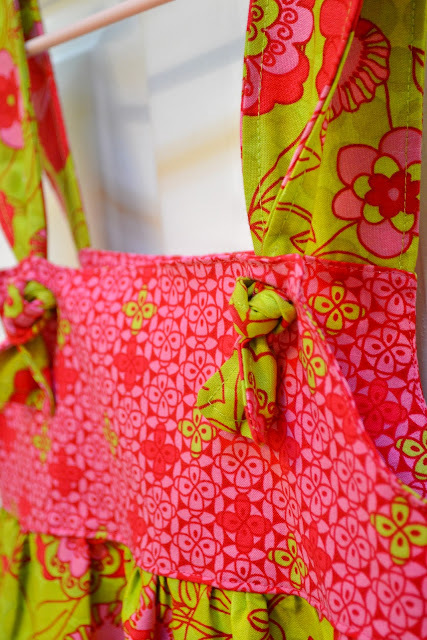 I would love for you to share this at my Flaunt It Friday link party. There are also TWO amazing giveaways this week! I absolutely love this! I'd love for you to share it at our link party!